Instead of clear skies and an almost full moon we were faced with bands of rain crossing the area and high winds, however there looked to be a reasonable gap between the bands to shoot in so we headed on out. We were able to find a spot that was mostly protected from the wind. Unfortunately the cloud cover was thick enough that it didn't create interesting patterns. 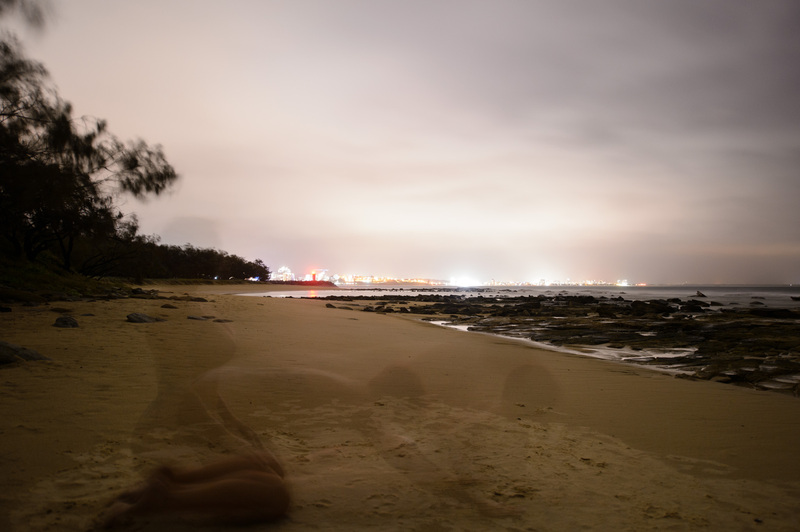 On the plus side there was enough light from Mooloolaba and Alexandra Headland bouncing off them that the surroundings were lit up enough even without the moon. We didn't get to shoot for very long, as we were moving around to another spot the next band of rain hit which made for a very unpleasant walk back to the car.